Simpson’s recent fame has thrilled her parents, her entire hometown and her Native-American tribe, the Haliwa-Saponi. “Our people, especially within the tribal community, are very supportive and I think that it has meant a great deal to them – having something positive to come from our small community,” Michael Mills said. Last week, Simpson sang “Amazing Grace” on the hit television show “The Voice.” Jimille and her husband, Micheal Mills, have listened to their now 26-year-old daughter’s singing voice for the past 24 years. “Her dreams of wanting to do this for a living and do this for a life. This dream, was coming to pass,” Jimille Mills said. 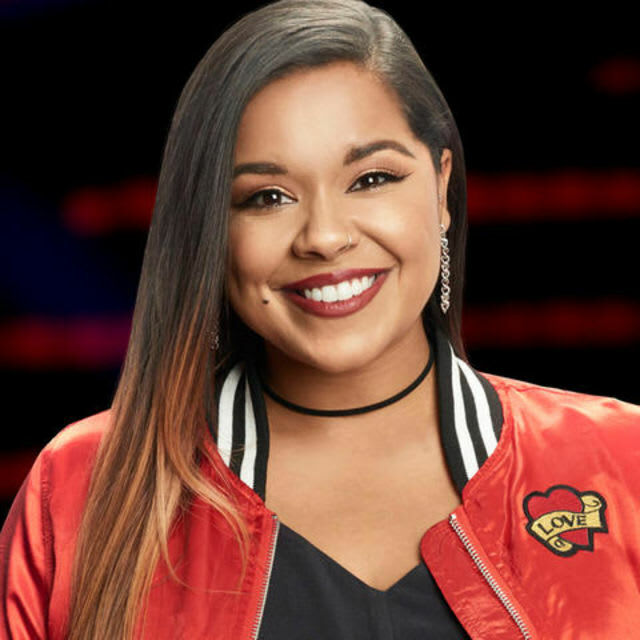 Jimille Mills has seen every one of Simpson’s performances on “The Voice” from a front-row seat. Simpson’s “Amazing Grace” shot to No. 2 on iTunes and quickly became the most popular iTunes Gospel download. 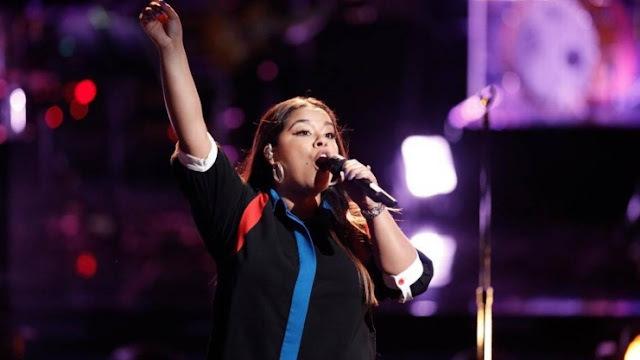 Simpson’s rendition of “Faithfully” by Journey on Monday night’s performance round garnered a standing ovation from three out of four judges and prompted voters to put her through to the final round of the singing competition. A winner will be crowned on the season finale of “The Voice” on Dec. 19. Brooke is a full-blooded Native American from the Haliwa-Saponi tribe. She grew up on tribal grounds with 4,000 Native Americans, including most of her family. Every year they have a powwow and celebrate their traditions just like their forefathers. She discovered her love of music at age seven when she started singing with her parents. Responses to "Brooke Simpson’s ‘Voice’ stardom thrills parents, entire Native American tribe"
This was my beloved Grandmothers favorite hymn and is now mine. You brought me to tears!